Not The Barnet Times: Do you get it yet Mr Coleman? If historians ever decide to compile a list of the 37,963 most stupid comments ever made by Brian Coleman, near to the top will be his recent claim that bloggers are driving voters into the arms of the BNP. It is just two weeks to go until the European Elections yet I have received only four pieces of election literature. One each from the LibDems, UKIP, No2EU and the BNP. The LibDems are of course a mainstream party, but if Labour and the Conservatives cannot even get off their backsides and talk to the people (please note ‘to’, not ‘at’) then is it any wonder that the fringe parties pick up votes? What’s that you say Skippy? Nobody is volunteering to deliver literature anymore? Nobody wants to go out canvassing? 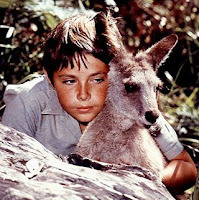 I wonder why that is Skippy?